Readers of a certain age will recall the decades from the 1960s into the 1980s of conductor Herbert von Karajan’s perfectionist approach to musicmaking with the Berlin and Vienna Philharmonics: a premium placed on buttery sound. The Parker Quartet played Mozart, Prokofiev, and Schubert quite like that Saturday at Jordan Hall for the Foundation for the Chinese Performing Arts and Boston Korean Cultural Society joint event. The approach seemed notably consistent, and more decided than the last several times I have heard them. From its opening measures, Mozart K.589 (No. 22 in B-flat Major, from the group commissioned by the cellist king of Prussia) wafted forth in such a lovely smear that phrasing, and indeed often notes, could not be readily detected. I’ve never heard higher-quality, more gorgeous and at the same time more indistinct string playing. The Parker did achieve “one big instrument” perfection, even as first violin Daniel Chong floated above second Ying Xue, violist Jessica Bodner, and cellist Kee-Hyun Kim like cream atop whole milk. I wondered whether edgeless, biteless, suave bel cantabile had become a new thing, here at the expense of Mozartean wit and depth and pathos. The ungraspability and near blandness of the effect were so troubling that afterward I asked a professor of chamber music to assess their similar Hunt reading online (a better piece, earlier, same key). The response: “Not my idea of Classical aesthetic or character; sounds almost flimsy, and like a singer with murky diction”. Surely the war-born Prokofiev Quartet No. 2, a favorite of theirs, would call for a bit more grit within the Parker polish. But it too received a lot of the superlegato treatment, even while bouncing more than some Russian groups do it. Overall the piece cannot be treated rest-free like the Mozart, and its Adagio reposed with as much beauty as you can ever hear from four strings. (Even among today’s topflight competition, these artists stand out individually.) Moments in the Adagio and the Allegro finale sometimes presage Pärt and Górecki in their somber, wrenched modes, and in the other passages the group proved unable—fortunately—to altogether glide over the composer’s verve, drive, and sardonic stomps. In the Trout Quintet, the angler did not exactly use a gun to get the little fish, but piano brawn abided behind the excessively lovely string blending. 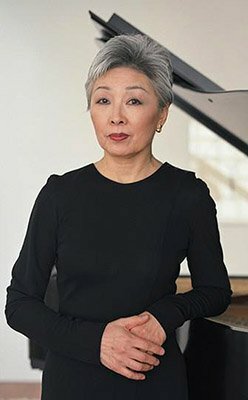 A chamber veteran in the same row emailed me later: “Violinist Ying Xue yearned and pled with high-flying solicitude both for the 20-year-old composer and for her fellows, but Boston Conservatory piano trouper Jung-Ja Kim arrived from some rather emphatic realm to deliver harmonic leadership more stiff-backed than grazioso, emerging regularly with those trills, loud as a doorbell.” They are written to balance the walking bass, ably provided here by Charles Clements with occasional help from Kee-Hyun, who rose to the fresh musical bait. The Andante came into quiet focus, with phrasing and releases audible, as were a few bites in the other movements. In the variations, Bodner’s muscularity shone. To all of this smooth, frictionless, soothing production the crowd registered zero objection, rising at the end to bravo heartily as seldom witnessed after string quartet appearances. A delayed thank you Mr. Moran for bringing up a question that has pestered me for a long time. Should string quartet players be more conversational in their work or aim towards producing a soliloquy? For amateur string quartet players, lack of superlative technique or unfamiliarity with the score may well render the question mute; individual voices will be heard no matter how hard the players try to blend. A world-class group like the Parker Quartet is in the enviable position of having the ability to choose: talk to each other or blend. From reading the review, Mr. Moran clearly thinks that the Parker Quartet went for the “blend” approach. Not being there, I can’t agree or disagree with this judgement. But I do cast my vote for the pleasures of conversation. Jumping on to the bandwagon with Mr. Moran…when we hear a string quartet, don’t we benefit from hearing what’s going on in the inner voices? The second violinist and violist aren’t there for decoration. There’s lots of good stuff emanating from those two seats. If you want to hear “smooth, frictionless, soothing” playing, go to the archives and dig up old clips of the Lawrence Welk Show. All this leads to another (perhaps quixotic) question: Is it possible that lack of technique in an amateur or recreational “broken consort” performance of a Mozart or Haydn quartet may possibly offer more pleasant instruction to the listener than a smooth professional performance in Wigmore Hall? To my mind those are false choices, as stated, or at least extreme. Top-shelf quartets, and there are so many now, blend just fine, with exquisite ensemble, while also having pointed conversation. (Naturally it depends on the piece.) But I found this all tended to murk and toothlessness. You could hear inner voices — smoothed. Listen to that ‘Hunt’ opening. And it seems a chosen path.